Beer festival season is here! Does your brewery have sufficient and appropriate insurance coverage to participate in these events without exposing the business to risk? The list below provides food for thought. 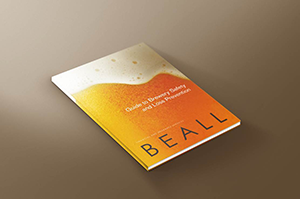 If you have questions about specific requirements in your state, or your craft brewery insurance package, contact your brewery insurance agent. Be sure the festival follows all laws and regulations. What do you know about the festival host? Do you know how your host impacts your own rights and responsibilities? (For instance, if a nonprofit hosts a beer festival, only that nonprofit can receive any portion of alcohol sales. Additionally, the brewery may not require employees to volunteer at the festival, nor can it pay employees to work the event. Requirements differ if, for instance, a management company hosts the event. Are you renting a vehicle—or are employees using their own vehicles—to transport product to a beer festival? Be sure your brewery insurance package includes hired and non-owned vehicles. Your liquor liability coverage may provide the protection you need in case festival-goers overimbibe and damage property, other people, or themselves. But be sure to properly train brewery employees working the event. They should be able to recognize the signs of intoxication. In addition, they should know how to stop service to an intoxicated person. Be sure to read the festival contract very carefully before signing. 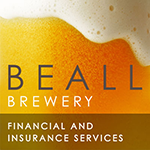 You don’t want a contractual obligation to cover risks that your brewery insurance doesn’t cover. Beer festivals are a lot of work for participating breweries, but they can also be a lot of fun. Additionally, they can be a powerful marketing tool to build the brewery’s reputation in the community. With caution and foresight, you can make sure that festival participation gives your brewery all the benefits, and none of the risks. And if you have any questions, contact your brewery insurance agent for assistance in making sure your workers, your product, and your business are protected. Looking for even more detailed suggestions? Check out the Brewers Association’s fine guide to festivals here. ← Is a Guest Taps Program Right for Your Craft Brewery Tasting Room?